« Amazon.com have deals on Beanie Boos! Halloween is nearly here! 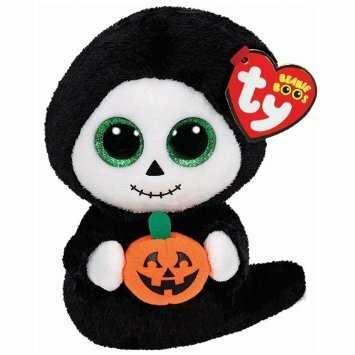 With only 11 days to go until trick or treating commences, I thought I’d compile a list of my personal favourite ten Beanie Boos! This list is in no particular order, partly because I couldn’t bring myself to pick a favourite. Haunt was released back in 2013. I just love the contrast between his bright orange fur and the purple of his glittery eyes. The UK release of Haunt has no birthday, whereas the USA version has a birthdate of 22nd October. Igor is a newer release, appearing in July 2015. This little cutie has beautiful green sparkly eyes that compliment his purple-pink wings. His tiny fangs look adorable! Igor’s birthday is on 7th September. Next up is Grimm! 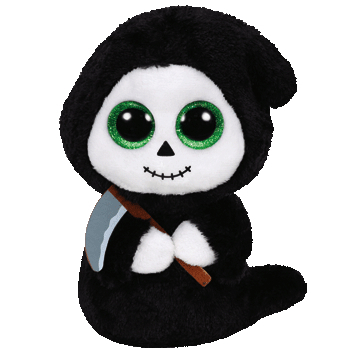 Based on the Grim Reaper, this little ghost holds a tiny scythe in his hands which actually makes him look more cute than menacing. Grimm shares the same dazzling green eyes as Igor and was released around the same time. Moonlight came out back in 2012. She is a beautiful black and bright orange with spooky orange eyes. 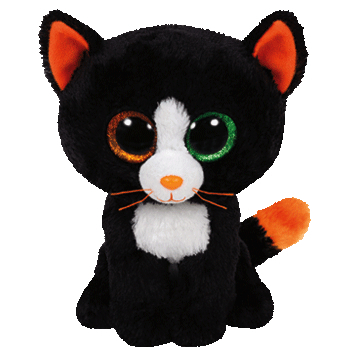 Moonlight’s birthday is actually on 31st December, perfect for a Halloween Beanie Boo! Another ghost has made it on to the list! Treats was released at the same time as Grimm and even looks very similar. He holds a spooky carved pumpkin in his arms instead of the scythe that Grimm carries. Treats’ birthday is on 1st August. 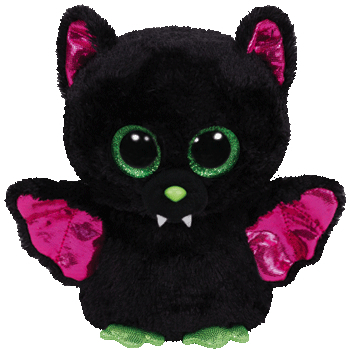 Swoops is the first bat Beanie Boo that was released way back in 2011. I just love his little purple wings and his bright orange eyes. 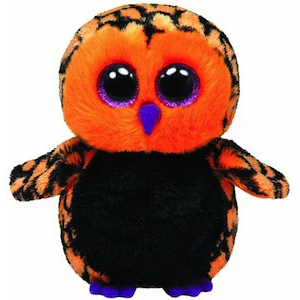 Swoops is not to be confused with the later barn owl Beanie Boo called Swoops. Like Moonlight, his birthday is also on 31st December! 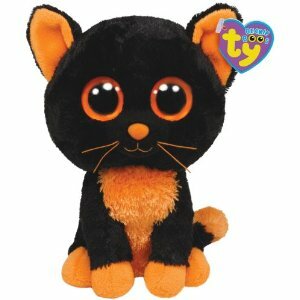 Frights is another recently released Halloween Beanie Boo and another cat to make it on to the list. The thing I like about Frights, is the unusual eyes he has. His left eye is glittery green, while his right is sparkly orange. 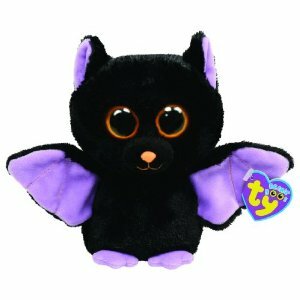 Midnight was also released this year and is the second owl Beanie Boo on my top 10 list. 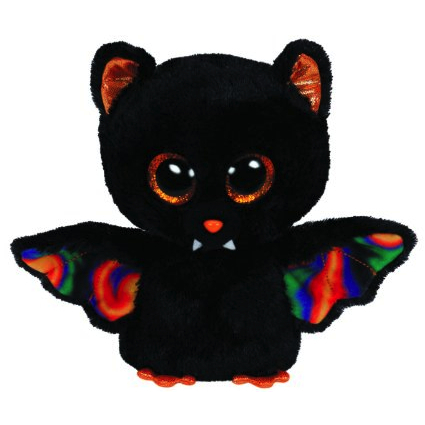 Most of the owl Beanie Boos are of a very similar design, and what I like about Midnight is that he breaks that mould. I love his fluffy face and how his green eyes seem to pop out. 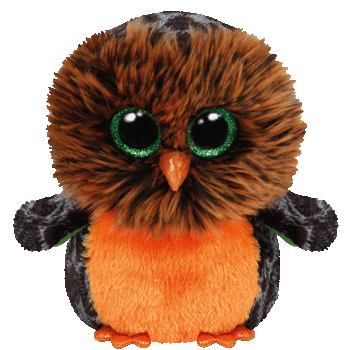 Midnight the owl is not to be confused with an earlier bat Beanie Boo also called Midnight. Scarem was released last year in 2014. His wings are what really stand out, being almost like a psychedelic, rainbow swirly pattern. His tiny fangs make him look scarily cute. Scarem’s birthday is on 11th October. 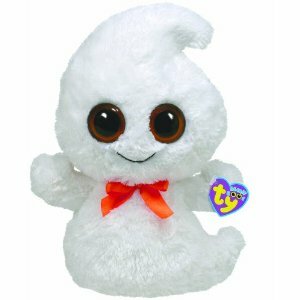 Ghosty is the oldest Beanie Boo on the list, released back in 2010. To me, he looks like a cute little marshmallow with an orange ribbon. Ghosty is actually quite hard to get hold of now. He was re-released with sparkly orange eyes in 2013.